You are the only professional photographer I know that has good words to say about the iPhone. Even with all the new and awesome enhancements of the 5s, there will *still* be crappy photos uploaded to many social networks. The key takeaway from your article is “photography as a craft and as an art form will only end up growing stronger”. John, you’d say that “The iPhone 5s is the first step toward casual shooters realizing they don’t need to drop $1500 on a DSLR system” but what do you think about new Nokia Lumia 1020? It has 41MP lens and Nokia Pro Camera software and because of it it makes greater photos than new 5S, i think. Andrey, truth is this has yet to be seen, the amount of megapixels means little outside of a catchy number to market the camera with. You can’t help but immediately wonder how and why it is that a cell phone camera for some reason has more megapixels than the most popular pro DSLR’s on the market. Its all about marketing prowess. It is a long established fact that a higher MP count means little when it comes to the actual working quality of a sensor. You can surely bet that there will be side by side comparisons as soon as someone is able to do so. The photos I am seeing from the Nokia may have nice big file sizes but are otherwise quite ordinary. My main point in writing this is to point out the fact that Apple has taken software and created intelligent , forward thinking ways to create a camera that does nearly all of the thinking for you. Most other manufacturers are left still using the same variables, f/stop, shutter speed, and ISO to control the cameras where as Apple has creatively written software to take advantage of the phones processing power to create not simply one, single image at the trip of the shutter, but take a burst of images and locate the greatest sum of what it captures to create the illusion of one, well captured moment. Not to mention that clever duo toned flash which really is pretty brilliant in a humble little camera such as this. 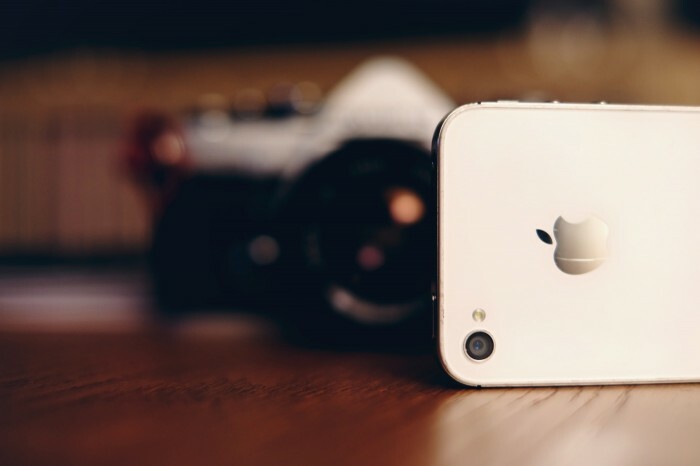 In essence Apple has taken the idea of the decisive moment and extended each moment virtually. Obviously I am only speaking here based on their marketing jargon and not at all from experience. It will be interesting to see if it lives up to all their hype but as it stands Apple is poised to once again shake up another industry with its clever engineering. I have no doubt that the Nokia is a great phone, its simply a different approach to the concept of having a nice camera with a mobile attached to the front of it. “Andrey, truth is this has yet to be seen, the amount of megapixels means little outside of a catchy number to market the camera with. ” Just like scanner resolution a decade ago. More doesn’t equal better. CuJo, thanks for that, I often scrape together just barely enough free time to write so editing tends to slip through at times and help such as this is valuable and welcome to me. I’d be happy to proof for you before posting. No strings attached. If you’re interested, I’ll send you a better email to reach me at. Great article and insights. I find that as a completely non-professional photographer I’m growing increasingly unhappy with the cameras available to me. I recently sent our 1 year old Canon S100 in for manufacturer repairs and just used my iPhone 5 for photos. It’s not perfect, but then again, it works while the Canon left me high and dry. The longest I’ve had a digital camera function is under four years. The iPhone is rapidly becoming “good enough.” For most of us, good enough is exactly what we’re looking for. I dont think the point of the 41MP sensor in the Lumia 1020 is to take 41MP photos, its mainly there to allow for lossless digital zoom (no loss in quality) and highly detailed pixels, in the form of a 5MP photo using oversampling hence the name Pureview Technology. I use a Nokia 808 Pureview with 41MP sensor and ZEISS optics and I have more options than 38, 33, and 5, but also 8, 3 and 2MP. But yes, the advancements in camera technology in the 5s is definitely a great jump forward. The iPhone is surely no slouch in this department and I still regard it as the most well put together mobile package available regardless of the fact that I’m a big Nokia fan. True, it’s a creative use of a high megapixel count and of course sticking the name Zeiss on anything is a means to get street cred with photographers (yet not all Zeiss lenses are all that impressive to be honest). Cramming megapixels into a sensor is known to have its ups and downs, but using them to aid digital zoom is certainly interesting. Clearly Apple is not the only one fighting for the top spot in the mobile photo market. They are just taking an approach that I found distinctly unique in the way it merges existing ideas with forward thinking software based ones. Nice to see there is still so much room left for creative forward thinking on both accounts. Should be fun to see what happens next.